Puzzle - 1500 pieces with dimensions of 68x47 cm picture.They provide great entertainment and a challenge for the whole family for long evenings and weekends. Puzzle show photos or images. 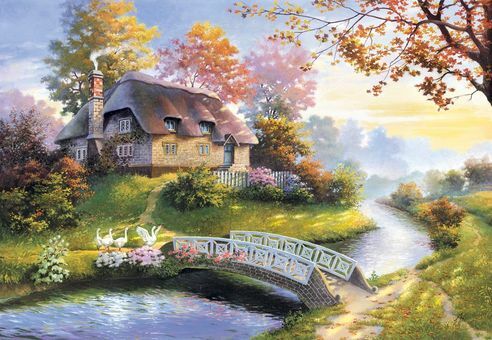 After laying it can be used as an original decoration on the wall or under the glass on the table.Jigsaw puzzles develops patience, memory and concentration exercises. Ideal job for both adults and children. Labas kvalitātes puzle par labu cenu. Puzles gabaliņi mazāki kā standarta puzlei.